This one was interesting, though I didn’t find it as intense as the summary implies. The tale is told from several character’s points of view (all in third person). Each character is connected to another in some way or another. If anything, it makes you realize how small the world really is. The story takes place in the span of a week and is set in Wales. It starts with a plane crash. Nobody knows why the plane went down, but many people died. The plane is manned by a pilot, whose daughter, Freya, is a narrator. Among the crash survivors is a flight attendant, Cecelia, who is also a narrator. Her husband, Tom, narrator and a detective in the investigation of a police officer’s death. The officer’s father, Jim, also narrates. Throughout the book, their stories are weaved together as connections become clearer and the murder investigation continues. The unique part of this story was the fact that there was no single mystery—there were multiple. There were plenty of twists and turns. I figured out the murderer pretty quickly, which was a bummer. I think that if it been a little more difficult to figure out those twists I would have enjoyed the read much more. That being said, the characters were extremely well developed and really helped drive the story. If you prefer character development, snag this. If you want action and blood, skip it. I rated it a 3.5/5 on Goodreads. 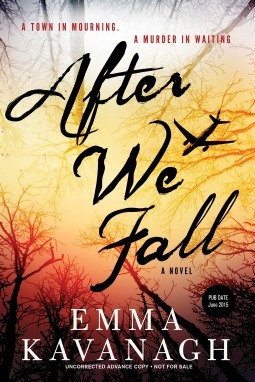 I received a free copy of After We Fall from NetGalley in exchange for an honest review.